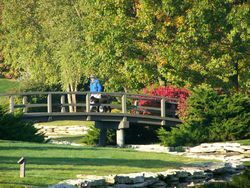 What Muirfield Village Has to Offer - Muirfield Association, Inc.
Over 8,000 residents call Muirfield Village home. Muirfield's inviting amenities and beautiful, relaxing environment are a welcome change from the fast-paced lifestyle so many people experience. Our community has something to offer to all residents! Muirfield Village is a Planned Unit Development with restrictions that govern the property standards. The Warranty Deed and Design Standards help ensure property values. Association-owned amenities include swimming pools, paths, tennis courts, lakes, and playgrounds. Read more about our amenities below or visit the Amenities page. Free architectural services are offered to residents. Active Deed Enforcement maintains quality property care. Resident-led Board of Directors approves the assessment-based operating and capital expenditures budget, maintaining healthy reserves while remaining fiscally responsible. Full-time office and maintenance staff. Located on the outskirts of Dublin, Ohio, the technology center of Central Ohio. Two golf courses lie within Muirfield Village and a number of properties offer golf course views. Convenient to shopping, freeways, recreation areas, nationally-recognized schools and the world-famous Memorial Tournament, all while retaining a sense of quiet country. Muirfield Village residents have access to many amenities available exclusively to them and their guests. 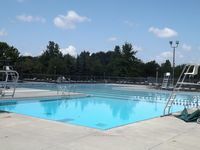 Pool Facilities: Muirfield Village has two large swim facilities, each with a large pool, baby pool, and concession stand. The Glick Road pool has a water slide and a spa and spray ground are a part of the Holbrook facility. Swim lessons are offered each summer. Tennis Courts: Ten lighted tennis courts are available exclusively for residents and their guests. Tennis programs are offered during the summer. Basketball Courts: Basketball courts are available at both recreation facilities. Playgrounds: Interactive, age-specific play equipment is located at both recreation facilities. An adult swing at the playgrounds allows adults to relax while the children play. Pathways: Over twenty-nine miles of paved, private pathways offer residents many enjoyable hours of walking, jogging or biking. Meandering through the woods and open areas, the paths present beautiful views of the village and golf courses. Maps are available online. Fishing Lakes: The Village has twelve lakes that are stocked with fish. Residents are not required to hold fishing license. Chipping and Putting Green Practice Areas: A practice putting green is availabl at the Holbrook Recreation Complext and a practice chipping area is available near Glick Road and Muirfield Drive for golf enthusiasts. 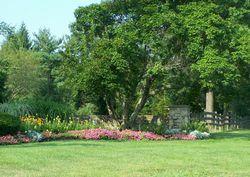 Common Grounds: There are 250 acres of common grounds in Muirfield Village landscaped with trees, shrubs, flowers, manicured areas and open vistas, as well as natural wooded and vegetative areas. The Muirfield Calendar lists events, activities, lessons, meetings, and more! The brochure is in PDF format and a PDF reader will be necessary to open it. Adobe Reader can be downloaded free here.